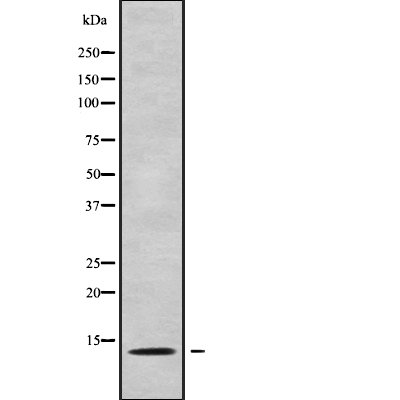 Small volumes of anti-CXCL5 antibody vial(s) may occasionally become entrapped in the seal of the product vial during shipment and storage. If necessary, briefly centrifuge the vial on a tabletop centrifuge to dislodge any liquid in the container`s cap. Certain products may require to ship with dry ice and additional dry ice fee may apply. Function: Involved in neutrophil activation. In vitro, ENA-78(8-78) and ENA-78(9-78) show a threefold higher chemotactic activity for neutrophil granulocytes. Subunit Structure: Monomer (PubMed:24695525). Homodimer (PubMed:24695525). Post-translational Modifications: N-terminal processed forms ENA-78(8-78) and ENA-78(9-78) are produced by proteolytic cleavage after secretion from peripheral blood monocytes. Similarity: Belongs to the intercrine alpha (chemokine CxC) family. 1. These data demonstrated that CXCL5 expression was upregulated in prostate cancer tissues and that exogenous CXCL5 protein exposure or CXCL5 overexpression promoted malignant phenotypes of prostate cancer cells in vitro and in vivo.